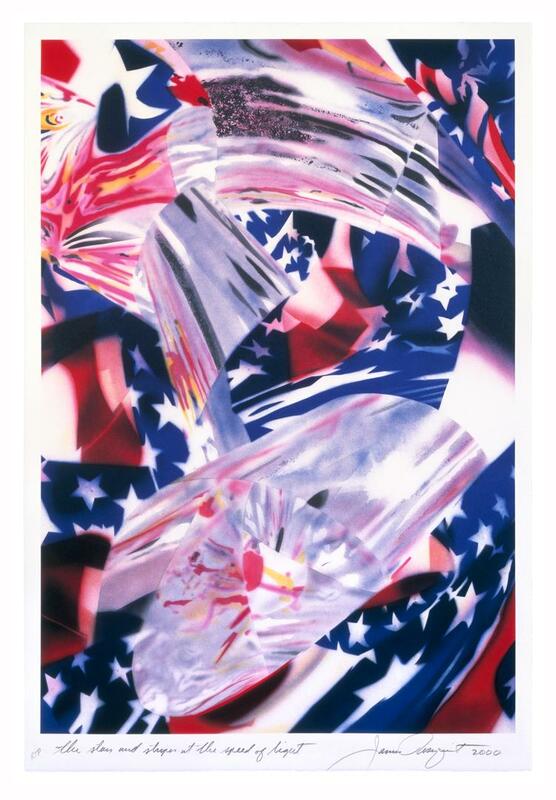 The Stars and Stripes at the Speed of Light, 2000. Seven-color lithograph. 45 1/2" x 31" (115.6 x 78.7 cm). Published for the Friends of Art and Preservation in Embassies; printed by Derrière L'Étoile Studios. 45 Edition Impressions + 30 APs, 6 TPs, 6 CTPs, 2 Workshop Proofs, additional proofs.